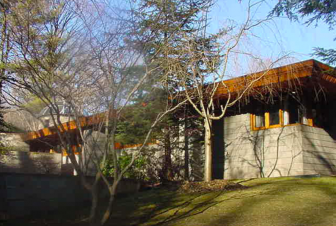 A Frogtown Road home that is widely hailed as a Frank Lloyd Wright-designed masterpiece—“Tirranna,” built in 1955 for John Rayward (it’s also known as the ‘Rayward-Shepherd House’) sold on March 30 for $4.8 million, according to a property transfer in the Town Clerk’s office. Police on Tuesday received a report that bunches of grapes—which are toxic to dogs—had been found in Spencer’s Run. 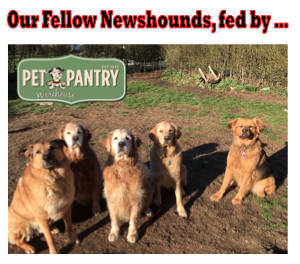 It’s against the regulations of the dog park to bring in human food. “We are going on the assumption that it wasn’t intentional,” said Officer Allyson Halm, head of the New Canaan Police Department Animal Control section. Congratulations to Denise Gannalo, sales vice president at William Raveis New Canaan for being honored as the office’s Top Producing Individual Agent, Top Individual Listing Agent and Top Individual Agent for Closed Units for 2017. 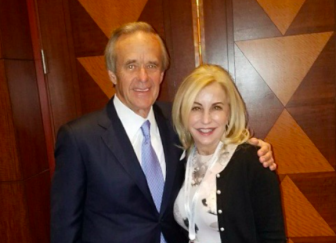 She recently attended the company’s annual convention at Mohegan Sun and on March 28 was a guest at a reception honoring Top Producing agents in the company’s Chairman’s Elite Club. For more than 20 years, Gannalo has earned recognition as a top producer with Raveis. 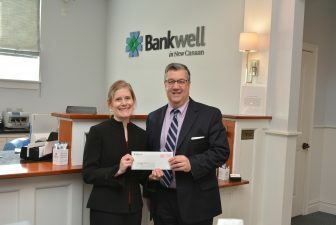 As part of its commitment to provide value to the community, Bankwell donated $5,000 to the Carver Foundation of Norwalk. The mission of the Carver Foundation is to help children and youth reach their greatest potential by providing educational, social and recreational programs in a positive, safe and fun environment. Carver is Norwalk’s largest provider of after school programs for middle and high school students, and the largest provider of summer programs serving K through 9th grade students. 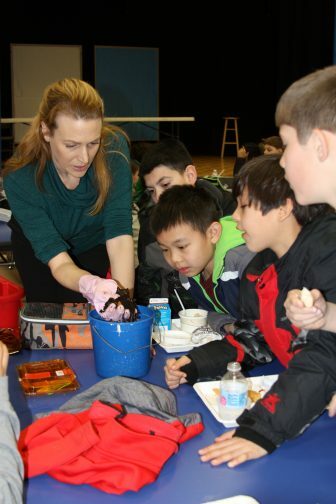 Amy Carpi, one of South’s Green Team Chairs, walked table-to-table showing the kids Red Wiggler worms and explained how they eat food scraps and turn them into compost for the garden. She educated the kids on how keeping a bin of worms at home – in your garage, basement or shed is great for the Earth and fun for you. As for the benefits: less garbage going to the landfill and it makes beautiful garden fertilizer that keeps your plants strong and healthy. South School celebrated STEAM (Science-Technology-Engineering-Arts-Making) Week last month with daily events, composting lessons during lunch and a science fair. The school’s STEAM and Green Teams worked together on the science behind composting and led a lunchroom experiment. First, students learned what they can and cannot compost. Then, they got to manually scrape their veggies, orange peels, bread and lettuce into different compost buckets. Students learned that these scraps then turn into garden soil. This process is accelerated through something called vermicomposting, which involves keeping a bin of red wiggler worms and feeding them kitchen scraps, which result in “castings” used in the garden. State Convention, May 11 and 12: Cristina Aguirre-Ross, Patrick F. Donovan, John Engel, Stephen J. Karl, Michael J. Mauro, Kevin J. Moynihan, Tucker B. Murphy, Maria Weingarten and Nick Williams. State Senate District 26 Convention, May 14: William D. Gardner, Mary Anne Marcella, Michael J. Mauro and Maria Weingarten. State Senate District 36 Convention, May 14: Robert W. Avery, Evelyn Irene Barrack, Patrick F. Donovan and Kevin J. Moynihan. State House District 125 Convention, May 16: Robert W. Avery, Evelyn Irene Barrack, Elizabeth DeLuca, Patrick F. Donovan, William D. Gardner, Mary Anne Marcella and Kevin J. Moynihan. State House District 142 Convention, May 16: Michael J. Mauro. Judge of Probate District 52 Convention, May 24: Cristina Aguirre-Ross, Robert W. Avery, Patrick F. Donovan, William D. Gardner, Mary Anne Marcella, Kevin J. Moynihan, Thomas G. Osterndorf and William Eugene Redman.